Some may say that painting over wallpaper is a good idea. This is not really a good idea. Wallpaper can fold, crack and fall with time. When you paint over it, this means that the paint job is going to go with that part of the wallpaper that is affected. Removing the wallpaper before painting can also benefit you since you’re able to paint on the walls with ease and the paint is going to stick better. This leaves a cleaner, longer lasting finish then if you were to paint over the wallpaper. This takes not only time, but patience. You will have to scrape the wallpaper from the walls. This can be done using a putty knife. By heating up the wallpaper, you can easily remove the pieces. Another option to help with wallpaper removal is to soak the wallpaper entirely. You will want to use a spray bottle to completely soak the paper and then the putty knife to go through and lift the paper up. Again, this is a long process. 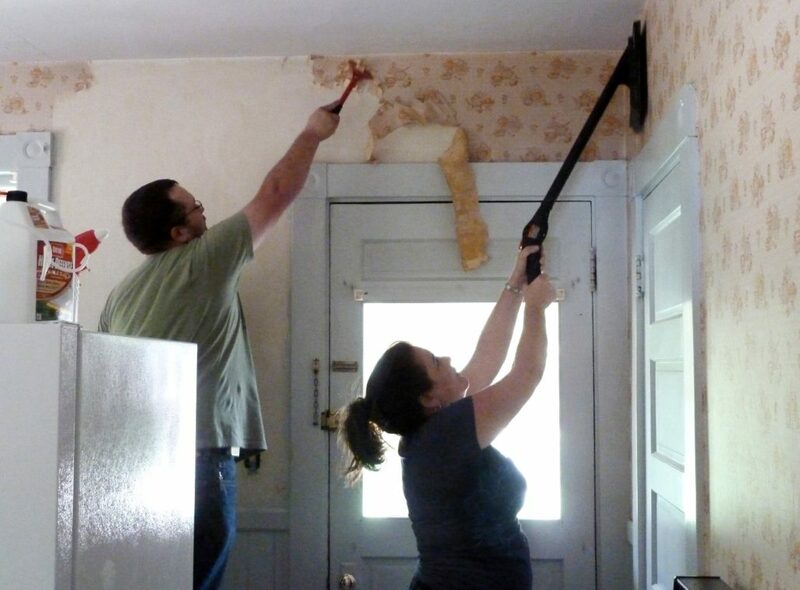 Once the wallpaper is completely removed, you will want to scrub and wash the walls down. Make sure that they’re completely dry before having any paint added to them. This can be a couple days’ worth of process, but it can be worth it to have a nice finish when done. Always make sure to hire a professional painter that can come in and provide more insight and a bit of help in the end. Some of these professionals might even provide a service that allows them to remove the wallpaper for you, so you don’t have too! If you’re looking for a local professional painter, fill out our form below or give us a call here at Contractors Today. We have connections to the painters working in your area and can provide the necessary help needed.